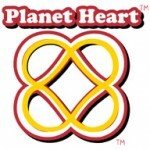 Planet Heart is a licensing agency representing art, lifestyle, literary, and entertainment brands. “The Bigger You Dream, the Bigger You Allow Others to Dream.” ™ — This is the motto that artist Tali Lehavi conceived of while in college. It comes in handy and Lehavi hopes to teach others to use find inspiration from it. 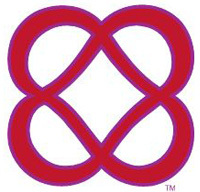 “Connect Through Love” ™ — This slogan is the motif for all Planet Heart products because all allow us to connect to each other, the environment, and our inner selves — through the HeartMark patent. Please click on the individual brands to learn more about each one! 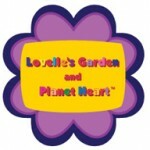 Lovelle’s Garden and Planet Heart is a literary and art brand for ages 3-6. The illustrations, themes, and colors are perfect to brighten up a child’s environment. Multiple stories are available for licensing. The Magic Heartoscope is already available for purchase on Amazon. The Power of Infinite Goodness represents the Planet Heart brand. It is a unique symbol invented by Tali Lehavi. The symbol is created by two hearts that are in opposite directions in a way that produces four hearts, one in each direction. The Power of infinite Goodness is carefully designed so that the loops look like the infinity symbol in every direction. 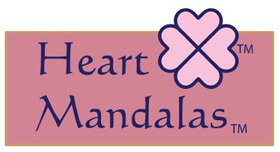 The Heart Mandalas is an art brand with plans to extend it to games, toys, accessories, software, applications, jewelry, textiles, and even fitness education (like yoga and dance classes). The Heart Mandalas began as the background visual motifs throughout Lovelle’s Garden and Planet Heart. They are so unique, that they have become a brand with its own identity as well. The Heart Mandalas series of books for children are geometrical pattern books with a variety of styles of challenges. These are great for licensing for stickers, apparel, more books in the series, software, video games, and other applications. 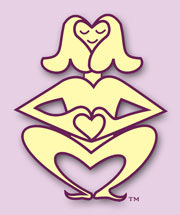 Other Heart Mandalas are available for carpets, towels, room décor, and many other 2-d and 3d applications. 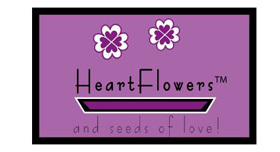 The HeartFlowers™ are a gorgeous line of designs of flowers from Planet Heart. The Heart Flowers is an art brand. The Heart Flowers are the original hand drawn flowers from Planet Heart. The HeartFlowers can be licensed to an older age group, apart from the Lovelle’s Garden brand. It is available for licensing for room décor, publishing, accessories, and other categories. 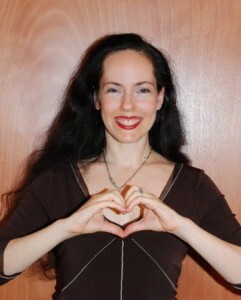 The gesture in which hands make a heart is called the HeartMark. Artist Tali Lehavi Hamer invented this gesture and has been using it as her trademark gesture to represent all her products and services. It is equivalent to Lehavi’s signature. This gesture represents a lifestyle brand of connectivity. On Planet Heart, which is the first product line that featured this trademark gesture, Lehavi Hamer’s Heartlings express hello, peace, respect, appreciation, love, and goodbye by HeartMarking. Connect Through Love™ is a unique line of jewelry. All the pieces connect to other pieces. This means that anyone who wears this line can literally connect to others who wear it. Artist and designer Lehavi Hamer would love to license this line to companies that contribute to causes that reflect how we are all connected, such as cleaning up the oil spill. The pieces of jewelry are protected by US Patents, copyrights, and trademark laws. The designs for the jewelry can also be licensed for other products such as room décor and textiles. Artist Lehavi Hamer can design pieces with your company’s logo so that your customers can also connect. A lifestyle brand. Hearts are always in style! This line of room décor reinvents hearts so you can see them in a stylish, subtle yet empowering way. The hearts appear between room décor. It brings love to the room, which is very feng shui. All the pieces in this trademark line of products communicate and connect to other pieces. You can say that love is within the spaces between items in the room. 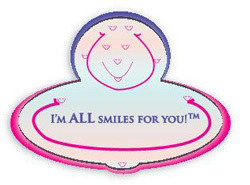 The designs turn the negative spaces into a positive.™ Like the jewelry line Connect Through Love,™ customers will enjoy that the environment around them reflects their attitude that we are all connected. It is protected by a US Patent and other copyright and trademark laws. A character based property, the Sponaps are collectible characters that connect to each other through a patented method called the HeartMark. There are 6 main Sponaps, but the line has plans for quite an infinite amount. Sponap is short for Spontaneous Appreciation. 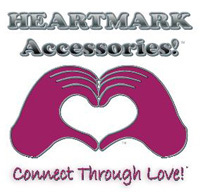 The Sponaps were born after artist Lehavi merged her desire to hand out gifts for “moments of spontaneous appreciation” ™ together with her HeartMark patent. 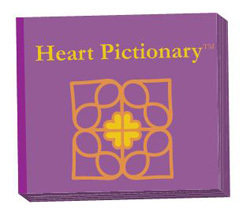 The Heart Pictionary is an art property geared to preteen girls, for apparel and publishing licensing mainly. All the words in the dictionary are made of hearts. Girls can communicate through this heart language. Girls can wear shirts that have the heart words, or keep diaries, use stickers, and even wear perfumes that use this Heart Pictionary. Licensing is also available for games. An art property, this line is appropriate for children’s products in a variety of products categories. Some illustrations are also geared toward women. The line is super happy and optimistic. All the characters are made up of happy faces! 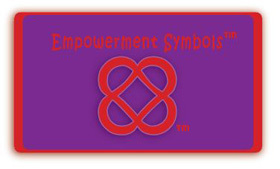 An art-based property geared for preteen girls, the Empowerment symbols for peace are visual symbols that have empowering meanings. They are available for licensing for jewelry, apparel, back to school products, room décor, high tech personal devices, software, multi-media, and other categories. The symbols included in this property are the Power of Infinite Goodness and some of the HeartMark symbols. The HeartMark is a brand of health. 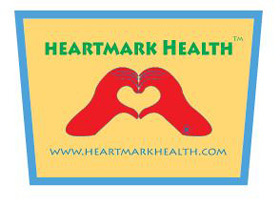 The mission of HeartMark Health is to inspire people to want to be healthy, teach everyone to listen to their body, and to give everyone proper tools to achieve these goals. 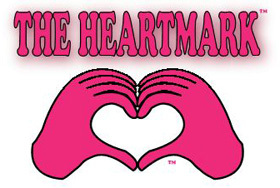 Heartmark Yogalates™ is an interdisciplinary approach that combines yoga, pilates, ballet, and the powerful heartmark connection for a satisfying whole body and heart routine that invigorates without pain. We took from the yoga tradition its beautiful philosophies and meditative goals that permit us to focus on our bodies and clear our minds from distractions. We also borrowed the emphasis on breathing and stretching.